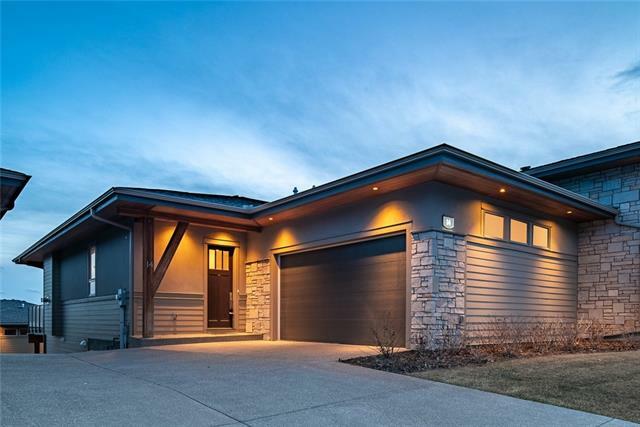 Timeless luxury at every corner, this grand bungalow offers no compromise living in a quiet cul-de-sac backing onto Waterfall & Ponds. From the moment you enter you're greeted with cathedral ceilings and floor to ceiling windows staring right into the pond & waterfall. 4 or 5 bedrooms with 4 full and 3 half baths accommodate family and guests. Miele, Wolf, & Sub Zero appliances adorn the custom cabinetry in the chef's dream kitchen. Generous master has a separate sitting area and deck access. Barrel-vaulted ensuite leads to large WIC. 2nd guest suite and full bath on main. Lower level houses a large family and games room, proper home theatre complete with 7.2 surround system & theatre seating, gym, bar, 2 beds with ensuites and large patio & hot tub. Bonus room up top makes a great office/hobby room with private balcony, 1/2 bath, & closet could be 5th bedroom. There's too many features to list here. This one of a kind opportunity won't come around again. 4 zones of in-floor heating with 3 zones in the basement and 1 in the garage. Garage has polyaspartic flooring, knockdown ceilings. In-ground sprinkler system, in ceiling speakers, smart home integration, security cameras and more. Come to experience the waterfall's cascading beauty and rushing sounds in Canada's Community of the Year 2012 & Calgary's Community of the Year 2014. Home for sale at 208 Waterside Co Rural Rocky View County, Alberts T3L 0C9. 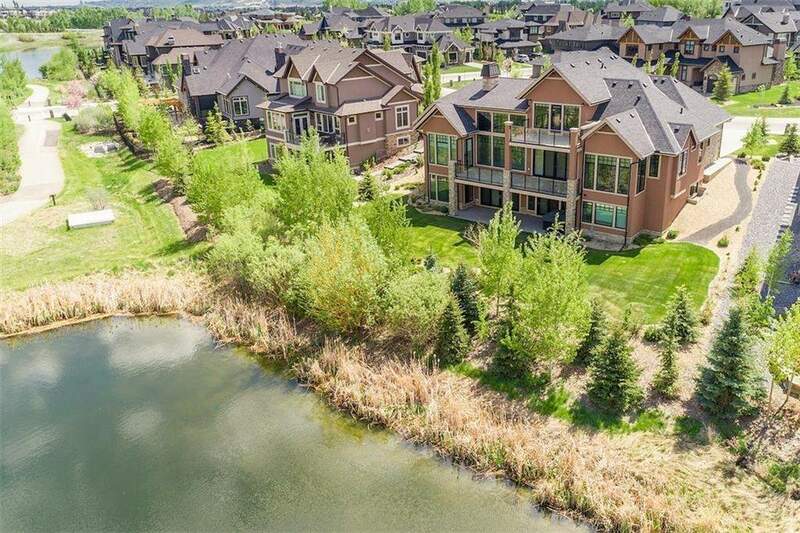 Description: The home at 208 Waterside Co Rural Rocky View County, Alberta T3L 0C9 with the MLS® Number C4178931 is currently listed at $1,695,000.